All articles posted in October 2018. For the last two years, Funimation and Crunchyroll have shared a license agreement where Funimation-licensed titles would also appear on the Crunchyroll streaming service. 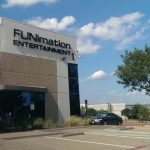 As of today, October 18th, 2018, Funimation has ended that agreement in order to pursue their own streaming services under FunimationNow. This change will see “several hundred new shows” appear on FunimationNow, with the loss of some titles; the titles shared with Crunchyroll would continue with some minor changes. My Hero Academia, Attack on Titan, Black Clover, Dragon Ball Z and One Piece are a few of the series shared between the two companies. A finalized list of affected titles was not provided. An added casualty of this is Funimation leaving the VRV streaming service on November 9th, 2018. Crunchyroll streams anime series in Japanese with subtitles, where as Funimation was involved with dubbing shows and films in English and handling physical distribution through DVD and Blu-ray. Sony Pictures Television announced their acquisition of a 95% stake in Texas-based Funimation on July 31st, 2017. AT&T acquired Crunchyroll’s parent company Otter Media on August 7th, 2018. With the third season of My Hero Academia finished, a fourth season was announced on FUNimation’s Facebook page. U.A. High School’s Big Three (Mirio Togata, Nejire Hado, and Tamaki Amajiki) and the villain Overhaul are expected to be central to this story arc. A date was not mentioned for when this upcoming season will air. The popular action/superhero series is based on the manga by Kohei Horikoshi also recently had a feature film released, My Hero Academia: Two Heroes.